Vidabox Wireless Keyboard Giveaway – The Winner Is…..
Congratulations to GeekTonic reader @markterborg who won the GeekTonic Vidabox Wireless Media Keyboard Giveaway (Head here for the review of this keyboard). Mark was chosen out of nearly 150 entries – some via comments to this blog and some via twitter as per the rules. The winner was chose at random with the assistance of random.org. An e-mail to Mark is on the way to arrange shipping of the keyboard. Thanks to all who entered and a special thanks to Vidabox for providing the keyboard for review and for the giveaway. Even if you didn’t win, you can pick up this keyboard at the Vidabox Online Store for $69.99. While you're over at the VidaBox site, check out some of their other cool HTPC products. I’m knee deep in additional reviews and have some special giveaways planned for the near future. This is the first contest I’ve run that included twitter as an entry method and the response was very good so I’ll probably continue to do that in the future. CEPro has an interesting article about the upcoming ATI CableCard firmware updates. We can’t get our hands on this firmware yet, but there are many interesting points of discussion from the article. Much of the information in the article comes from Derek Flickinger (known as DrFlick to many) who is a well known (and highly regarded) custom installer with a considerable amount of Media Center knowledge – he knows his stuff and that makes this even more interesting. Fios Channels are all showing up as “copy freely” during Mr. Flickinger’s trials of the new firmware – this would be the ideal for all CableCard users because it basically means no DRM on those channels marked as “copy freely.” These channels can also be viewed from PCs other than the one with the CableCard tuners installed. While it’s exciting to see CableCard rules loosened as much as they were this month, we have a ways to go before we know how this all will affect us in the real world. Will my Time Warner cable provider make the loosened CableCard DRM rules mute by tagging all channels copy once? If so, that makes the changes much less useful to this HTPC user. Another question not answered is this: When will this firmware arrive? Regardless, give the CEPro article a read – it’s a good one. If you’re wanting to go beyond the basic video and audio codecs for your computer you’re bound to want ffdshow. ffdshow is a more advanced DirectShow and VFW codec for decoding/encoding many video and audio formats on your computer. You may remember when I mentioned AntiPack – also developed by Andy (known as babgvant) which provides an easy step-by-step process to install codecs on your computer. 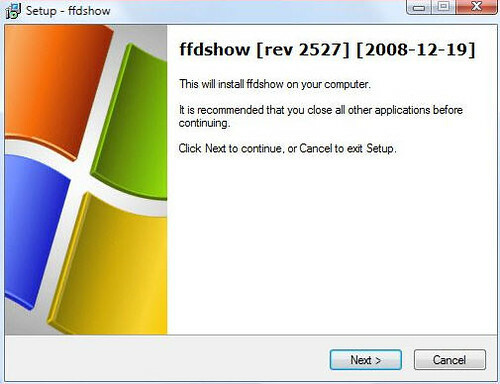 Well Andy has written up a very handy guide to installing and configuring ffdshow. It’s a well-written guide that helps you get ffdshow set up properly so you can get your DTS-MA support missing from most (perhaps all) other codecs. We SageTV HTPC users had pretty much given up on the hope of having a good Hulu app inside of SageTV after the Hulu vs. Boxee debacle and hearing from SageTV’s CTO that they had for now abandoned the project. Yes we have the ability to use Hulu on the HD200 extenders in standalone mode, but it was slow and extremely difficulty to navigate. Requires PlayOn, but works on Computers AND Extenders! This solution will require a PlayOn subscription, but it looks like it works very well thanks to a little UPnP action. Better yet, it works for all users of SageTV including those with computers as their HTPC “extenders” as well as those who use the HD200 or HD100 extenders! $10 off PlayOn until the end of September. Click on Buy Now and enter Coupon Code FALL10OFF. This coupon is valid from now until September 30th, 2009 at 11:59pm. There’s also a free 14-day trial here. Disclaimer: The Hulu functionality thus far is a proof-of-concept. While I expect it will be available to all SageTV users soon, there is no guarantee until it arrives. 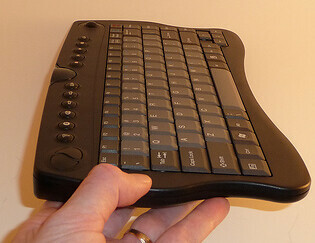 Looking for a great, wireless media keyboard for your Home Theater PC or computer? This Vidabox Premium Wireless Media Keyboard with Laser Trackball is definitely one of my favorites, but the time to pass it along to one of you has come. Vidabox has agreed to let me do a giveaway for this review keyboard so you can try it out for yourself for free! Thanks again to Vidabox for the donated keyboard. I'll pay for shipping to anywhere in the continental U.S. (if you're farther then that we can work out the difference in shipping cost) Only one entry per method per person. Winners will be determined at random at the end of this week. 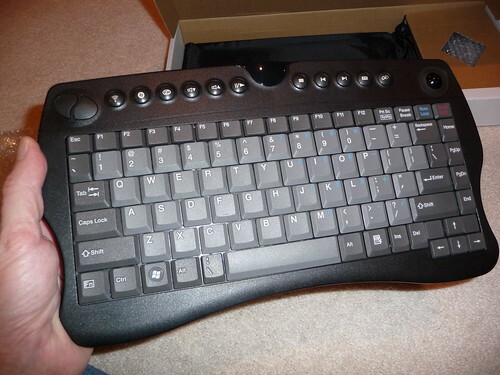 And don't forget, you can You can pick up this keyboard at the Vidabox Online Store for $69.99. While you're over at the VidaBox site, check out some of their other cool HTPC products. More reviews and giveaways coming soon so stay tuned. Did you think last week was busy with new and returning premieres? It’s nothing compared with this one – there are a bunch of premieres this week and I have all of the details. If you haven’t already, be sure and check out the link above and download the TV Premiere Listings recently updated. Note that I continue to do these weekly, weekend “What to Watch” posts that will keep you updated with any changes to the schedule from that premiere guide, add some additional information about the shows for the week including whether they are in HD or not. I also throw in any TV movies and specials for the week for good measure. Clive Barker’s Book of Blood (9pm on SyFy – Available in HD) Made for TV movie. 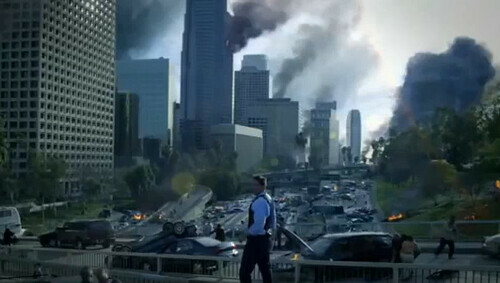 Heroes (8pm on NBC – Available in HD) – Season 4 begins. Heroes remains on my favorites list but honestly it never regained it’s first season fun. House (8pm on Fox) – Season 6 starts off with a 2-hour premiere. I’m a House watcher although its one of those shows I watch casually and don’t mind if I miss one here and there. Dancing With The Stars (9pm on ABC – Available in HD) – Season 9 begins with 2 hours of DWTS. My wife loves this one. I find it well not worth 5 minutes, but its fairly harmless I guess. Accidentally on Purpose (8:30pm on CBS– Available in HD) – A new sitcom starring Jenna Elfman. It has potential and it has Jenna Elfman, but who knows if it will make it. The Big Bang Theory (9pm on CBS – Available in HD) – Season 3 begins. This is one of those shows everyone seems to love. I watched the very first premiere of it and never watched it again, but maybe I should give it a second chance? Two and a Half Men (9:30pm on CBS – Available in HD) - Season 7 of a crowd favorite sitcom. Castle (10pm on ABC – Available in HD) – Season 2 of Castle arrives – one of my wife’s favorites and I’ll admit it’s not that bad although I don’t make time for it. Madventures (10pm on Travel– Available in HD) - Riku and Tunna travel from Brazil's urban jungles of Rio to the rain forests of the Amazon basin in the footsteps of William Burroughs and Allen Ginsberg. The Forgotten (10pm on CBS – Available in HD) – New show where amateurs solve murders of John/Jane Doe murder victims. Mercy (8pm on NBC– Available in HD) – A medical drama. I wasn’t that impressed with the clips I saw on this one. Gary Unmarried (8:30pm on CBS – Available in HD) – Season 2 of a sitcom that is entertaining. On my wife’s favorite list. Modern Family (9pm on ABC– Available in HD) – A new sitcom. Don’t mistake this for a “family” show as it’s a little edgy on the humor train but it definitely has its funny moments. Cougar Town (9:30pm on ABC– Available in HD) – This show has had a lot of talk about it. One because of the silly premise of “cougars” (no I’m not referring to the animal) and secondly because it stars Courtney Cox. Could be successful though based on the clips I saw. Eastwick (10pm on ABC– Available in HD) – A new TV show based on the Witches of Eastwick. Looks pretty bad in my opinion. Flash Forward (8pm on ABC– Available in HD) – The most talked about new show – this one is a Science Fiction-based drama. Time stands still for a moment for everyone in the world and everyone sees different versions of the future. Then time re-starts and the fun begins. This is a must-see premiere – I’m not positive about how the show will be long-term but the clips I saw of the premiere were very good. The Mentalist (10pm on CBS– Available in HD) – Season 2. Another favorite of my wife. Dollhouse (9pm on Fox – Available in HD) – Season 2 – Dollhouse survived against all odds. This show lost some audience last year but it really found its story a little over half way through the first season. Give it another try and watch the last few episodes from last year online and then record this season – It’s going to be good. Very good. Saturday Night Live (11:30pm on NBC – Available in HD) – Season 35 I record the first 30 minutes of SNL each week and scan for the few funny parts. They are there sometimes, but it’s not too consistent anymore. The Amazing Race (8pm on CBS) – Season 14 arrives. I’m officially no longer interested in this reality TV show. I used to enjoy it but its just not that entertaining to me anymore and they still don’t do it in HD which is just stupid this day and age. The Simpsons (8pm on Fox – Available in HD) – Season 21 Bart lives on. The Cleveland Show (8:30pm on Fox – Available in HD) – New spinoff of “The Family Guy.” I don’t do adult cartoons, but the previews of this were actually sort of funny. Dexter (10pm on Showtime – Available in HD) – Season 4 of Dexter. My daughter really loves this show (she got hooked watching it on Netflix Watch Now) and it really sort of scares me. But I know it’s a good one. 09/22/2009 9pm on SyFy “Warehouse 13” season finale. I really enjoyed this new series this summer. I was a guest on the Seen in HD podcast talking about the Fall 2009 TV season – Be sure and check it out to hear about my takes on the new TV season’s shows.